Three words came to mind after listening to this track: Quick, chirpy and country. There are many Nasheeds about loving your mother. 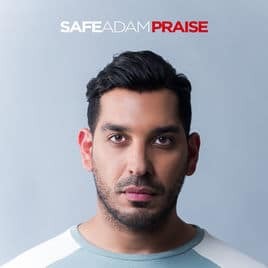 Safe himself did a track related to mothers on his previous album ‘Heart’. The increased tempo creates a mood of celebration, perhaps celebrating the blessing of mothers. The track is sang from the son’s perspective, letting his mother know that he will be there for her, and make her life easy. It teaches that we should thank and respect our mothers for their dedication and unconditional love. I will analyse the lyrics for ‘Mothers Love’, calling out any links to Quran and Hadith. Why not Buy the song on Amazon before reading on? It’s refreshing to hear Nasheeds like this. I really like the country sound. Safe Adam has taken a common lesson that you will hear in many nasheeds, but given it a new flavour. While I feel he needs to be careful on the high notes, Safe has certainly produced a track that will be repeated over and over by many. I encourage people to support Nasheed artists like Safe by buying the track rather than downloading free.